Claudio Yzaguirre was born in Forua, Bizkaia, in the Basque Country, Spain, on October 1922. He passed away Monday, March 18, 2019, with friends and family surrounding him with love. One of eight siblings, Claudio grew up working daily on his family's farm. He attended school until eighth grade and at the peak of Basque oppression and Franco's rule of Spain, he was only allowed to speak Spanish and not his native Euskara. At the age of 18, he was summoned to serve the Spanish military for three years. He met Franco at one time in person and when asked about it, often recalled the dictator's short height and unclean shoes. 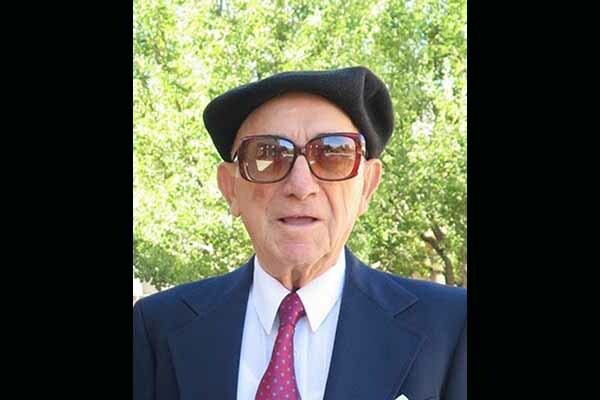 Seeking opportunity and a better life, in 1948 Claudio left his home country and traveled to the US. Claudio first began working in the US in Yakima, Washington. Like many other Basques in the area, he found work herding sheep, spent time as a ranch hand in Idaho, and then eventually became an employee at the Hines Lumber Company in Hines-Burns, Oregon. After seven years at the saw mill, in 1955 he went back to the Basque Country and met his soon-to-be wife Jesusa Mallea Olaechea, also from Bizkaia. They were married shortly thereafter and soon were expecting their first son. Claudio returned to the US to become an American citizen and continued to work in the saw mill awaiting his new family's arrival. After their first son, Juan “John,” was born in 1956, mother and son soon embarked on their new adventure to be reunited with Claudio and begin their new life in America. While still working at the saw mill in Hines-Burns, Claudio and Jesusa welcomed a second son, Louie, in 1958. The two decided it was time for a change, and in 1965 they moved to Winnemucca, Nevada, and purchased the Winnemucca Hotel with their partners Mike Olano, his wife Margaret, and their son Michael Jr. After many years of serving specialty Basque food and tending the bar full of wine and Picon Punches, they eventually sold their shares of the hotel in 1973. Claudio seized a new opportunity to work as a maintenance man at Winnemucca High School, staying there for 15 years. After Claudio’s retirement in 1989, he and Jesusa decided to move to back to Oregon, following their two sons to the then small town of Bend, Oregon, with a population of just 18,000. Claudio continued to work and stay busy his entire life, always with a project and a plan in mind. He had many home remedies that kept him going for over 96 years, was an avid gardener, and was a man who always made time and room for a chiquito vino, a Picon Punch, or Jesusa’s rice pudding dessert. Claudio’s legacy will live on for years to come. He was friend to many, husband and companion to Jesusa for over 60 years, an admired father, a grandfather, and a great grandfather. He is survived by his best friend and wife Jesusa; their two sons John (Mary) and Louie (Debi); grandchildren JJ, Nic (Kelly), Angie (Kade) and their children; and nephew Roberto (Renae) and his children. He will be sorely missed. A recitation of the Rosary will begin at 9:30 am, Saturday, March 23, followed by a funeral mass at 10:00 am, at St. Francis of Assisi Catholic Church, 2450 NE 27th Street, Bend. A private entombment will be held at Deschutes Memorial Gardens. Contributions may be made in Claudio's name to St. Francis Catholic School, 2450 NE 27th Street, Bend, OR 97701. To send flowers or a remembrance gift to the family of Claudio Yzaguirre, please visit Bend Funeral Homes Tribute Store.